Flow direction within the Frio is complex, and interpretation of major- and minor-element chemistry does not unequivocally support a single interpretation of brine origin. 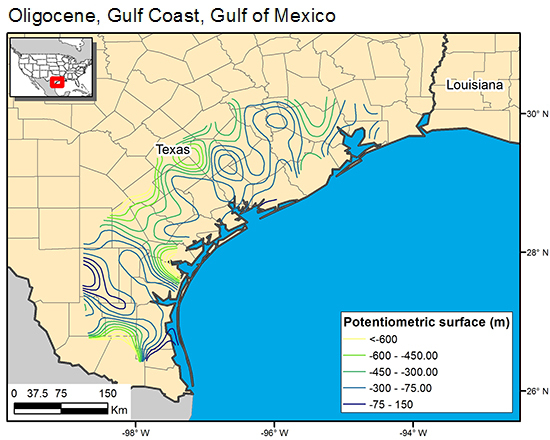 Generally fluids are being expelled from the Gulf Coast basin because of compaction in this depocenter, and deeper sections are overpressured. Overprinted on this system is fresh water moved downdip during higher hydrologic gradients during Pleistocene sea-level lowstand and depressurizing as a result of oil and associated brine production.